Sometimes you might want to debug (or trace into) Serenity sources. There are two ways to do this. 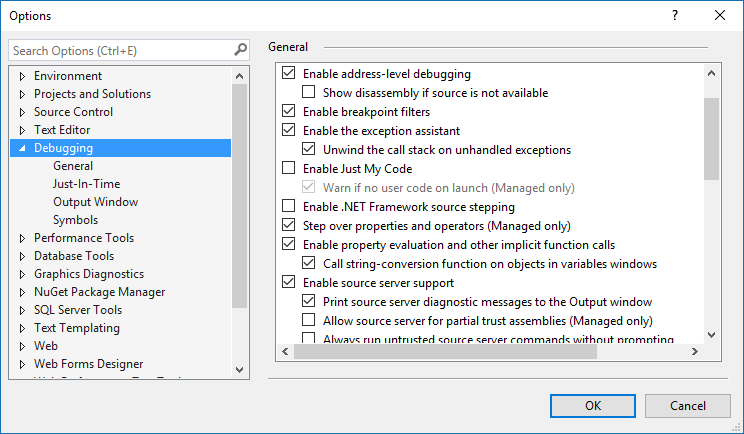 To enable source server support, just go to your Visual Studio options, and under Debugging -> General, click Enable source server support. 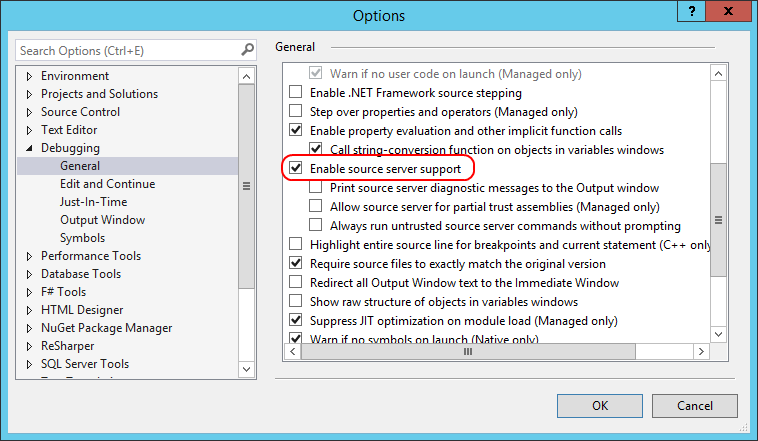 This option is only recommended for advanced users with a good knowledge of Git, Submodules and .NET in general. You&apos;ll also lose the ability to update Serenity and related files simply with NuGet. I don&apos;t recommend this to novice users. If you do this and break your project, sorry but i can&apos;t help you. I assume you have a project named SereneSample, and have a GIT repository for it already. Enter Serenity as Local path. Then click Add to add Serenity as a submodule to your repository. 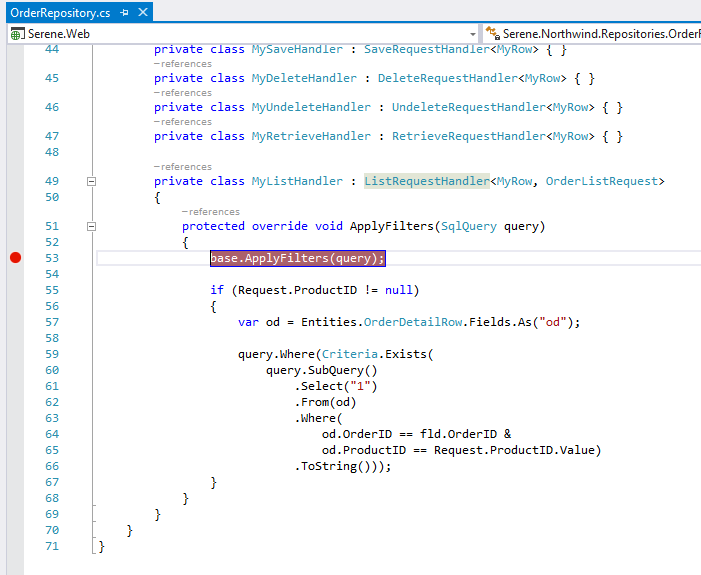 Then close the submodules dialog, and return to Visual Studio. Right click your solution, click Add -> Existing Project and select Serenity.Core.csproj under Serenity folder. Repeat it for Serenity.Data, Serenity.Data.Entity, Serenity.Services and Serenity.Web. Right click your project references, click Add Reference -> Projects -> Solution and check all projects we added above, then click OK.
Now build your solution. There should be no errors. Unload your project by right clicking it and clicking Unload. Then again right click project name and click Edit. Save file and reload project. Now you can use Serenity as a submodule and debug normally.